Most photo artists don’t particularly enjoy the acquisition side of business. This should not come as a surprise – after all, nobody will pay you for the time spent out and about, looking for clients. As a freelancer, customer acquisition via telephone is particularly time-consuming, and can be rough on the nerves, too. Of course, it would be much nicer if potential customers simply found you and contacted you on their own. A portfolio website can help you with that, always assuming that it appears at the top of search engine listings, in popular photographers directories, and in social networks. 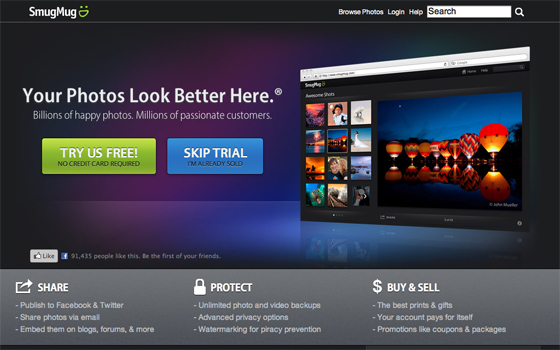 Many professional photographers use SmugMug to store, display and sell their images. Unfortunately many subscribers have just seen their annual feed hiked. Users were notified by email that the package structure had changed from Basic, Power and Pro to Basic, Power, Portfolio and Business -- and that along with this, prices had changed too. What had been the Pro ($150) account has been split into Portfolio ($150) and Business ($300), with users able to set prices and make profits with only the Business account, (they had previously been able to do this with the Pro account). Being a successful photographer isn't just about taking great pictures, it also involves being business minded and getting your name out there. 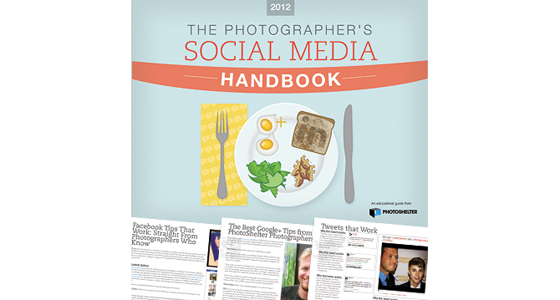 And one of the most effective ways to do this right now is using social media -- which is why it's awfully handy that Photoshelter have just launched 'The Photographer's Social Media Handbook'. The free digital download explains how to optimise Facebook, Google+, LinkedIn, and Twitter to generate new business and build a following from the viewpoint of a photographer. While for many people, Flickr is still the obvious choice for storing and showcasing images online, pros are apparently leaving the service for a host of alternatives. 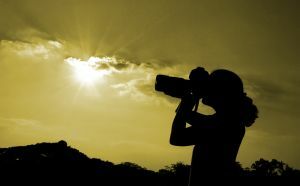 Recently the guys over at TheNextWeb took a look at 500px -- a site which is said to be luring serious photographers from the Yahoo-owned Flickr.